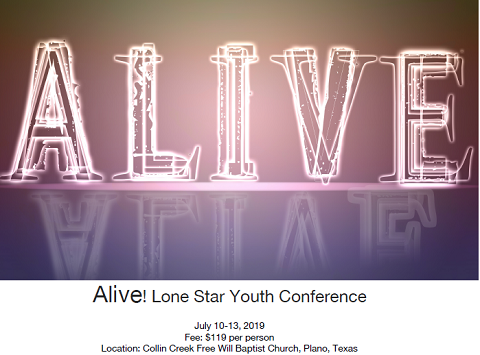 All youth are invited to the Alive 2019 event to be held at Collin Creek Church at 1905 E. Parker Road, Plano, TX 75074. It will be July 10-13, 2019. Contact Bro. Heath Ferguson at 281.825.9172 (hferguson@woodforestchurch.com) for more details. 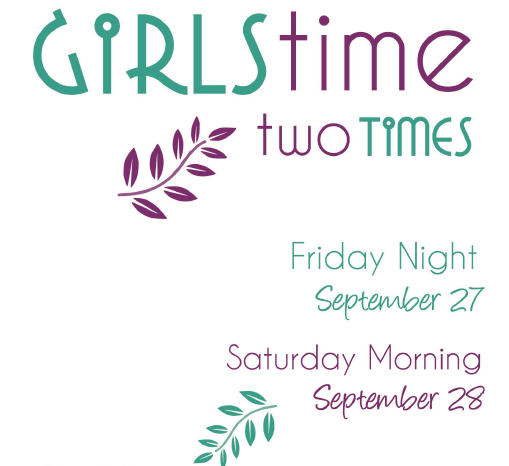 All ladies are invited to the 2019 GIRLS TIME TWO TIMES event at the First Free Will Baptist Church of Duncanville, 1415 W. Wheatland, Duncanville, TX 76115 on September 27-28, 2019. (For all the details, click the picture above.) Click here to sign up. GET IT EVEN SOONER! The State Office is now ready to provide the Texas Challenge to you in an exciting new format via its new blog site, http://texaschallenge.net. Just send an email to fwbtexaschallenge@gmail.com to submit articles or to ask any questions. To sign up, just go to http://texaschallenge.net and click "Follow." There is no charge. Thank you. Copyright ©1999 - 2017 Texas State Association of Free Will Baptists.